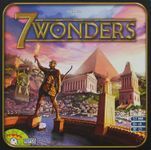 What is your go-to game for introducing non-gamers to the gamer world? But it's a game my wife and I love and want to spread the gospel of board gaming to the masses. The game has beautiful components and has an instant appeal to non-gamers. It's easy to teach to my non-gaming friends and easy to maintain chit-chat throughout the game, which keeps a light atmosphere. 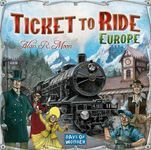 Ticket to Ride: Europe definitely is my. Of course, Ticket to Ride can be used as well and maybe its even better introductory game, because has no additional tunnel and station rules. Anyway - it seems that everyone loves trains and building something they own on great looking board. And, which is not less important, game is interesting enough for experienced gamers also. My second choice would be Carcassonne with our without farmer rules, depending on how far from boardgaming non-gamers are. It used to be things like Ticket to Ride, which is easier and more suited for real beginners. 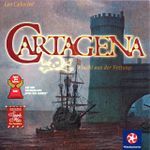 But if we suspect any inclination to like games, and the people know enough English (as there's quite a bit of text on the intrigue cards), we pull out this one. Added bonus: it's relatively new to us, and we like the game quite a bit (TtR has gotten a bit old over time). See, when I think of non-gamers I think of people who just don't know about board gaming yet. So when I want to introduce them to how fun and challenging and entertaining strategy games are I have to choose one that best represents the hobby. I've had the most success with sharing Power Grid. The rules are simple and straight forward and the strategic level depends on the players. I might also have picked Puerto Rico, but I like to Power Grid more myself. Easy to teach. Quick play time. Fun. 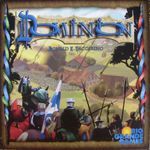 This is an excellent gateway game that often gets overlooked. Simple, clear cut rules, exciting every turn, and great fun. It is simple yet addictive. 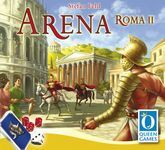 I would pick the game that got us started in the hobby: Battle Line, but Arena Roma II is more like what I am here for, and more what I would want to share. Also I only understand how and why someone would want to play board games with two players. 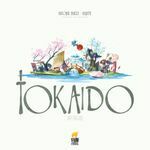 Though I will agree that many games play better with more than two, Takenoko for example plays a lot better with three, I do not understand why you would want to play any of these board games with anyone that you don't know well and would want to know better. And how would you get to know people better just by playing board games with them? I guess you could, but both sides would really have to be sociable types. We don't really like social gatherings and feel a lot of pressure to act a certain way, or behave. And it is more fun to just be whoever you are and play with that one other person that you know best, in my opinion. Why I rambled on about that is so that you can understand I am coming from solely a two player, married couple that games together view. hmmmm....this is a very difficult geeklist to respond to, as I am assuming you only want 1 game from each poster - 'THE Favorite'?! I have many favorites, and many that work equally well. It is a matter of reading the chemistry, personality types, and general mood (i.e. are they tired, had a tough day, excited, etc?) of the group present. 1. Game must have short instruction time. You need to be playing quick, before they lose interest. 2. The game should play in a short time period as well. I always want to give them the opportunity to ask to play again, or an exit point if it simply was not for them. 3. Social interaction. The game must be interactive and engage people socially. If there are any 'take that' mechanics/interactions in the game, they should be light hearted. 5. I solved #4 by usually just leaving the game with them to keep. So, the game has to be relatively cheap. My goal is to introduce the non-gamers to the game, but let them become gamers in their own time. Hard to do that if they don't have a (good) game available to do so! 6. # of people. Usually you are pretty safe with a 4 player game. So - Hanabi! (But I could add another 10 games that I have successfully used quite easily that fit the above criteria!). Can be taught very quickly and people get it right away. People understand buying things and enjoy building things. If your learners are picking it up quickly, you can even point out the collection strategies for later in the game. It's best with 3-4 players, if I had 5, I'd go with Ticket to Ride. The rules are pretty intuitive, and people generally love the theme. For me it's this game for 3 to 5 and Resistance: Avalon for 6+. Quick to play, put away, and teach; most importantly, a tangible goal. 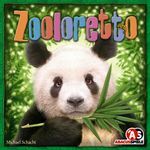 Everybody loves animals and owning a zoo is a good way to interest people. We can easily explain the game in 10 minutes and everyone gets the general idea of the 'auction' soon but get enthusiastic about it after the first turn and see that it's quiet hard to master. Usually it's a success! This is a great game for people who aren't really into gaming all that much. It's pretty easy, plays very quickly, and everyone we've played with (or watched play with others) has liked it quite a bit. We've used this and Carcassonne mostly to get people interested. This tends to let us move to Ticket to Ride and then even Pandemic. I've had good luck with Bohnanza as an introductory game. The rules are straightforward, there's only one path to victory, and you can generally look around the table and see what everyone is up to. Plus, I have found that people get into the wheeling and dealing elements really quickly, which is typically very entertaining. Some people become sticklers for "fair" trades, others go in big for IOUs, some people hold on to everything. It's a very interactive game, and the silly art makes it very nonthreatening. This game is a gem that few know about and it's a guaranteed success when it's played with non-gamers. 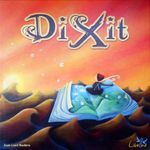 I find Dixit is a good one since by explaining that it is "kind of like Balderdash but with really cool art" people get a frame of reference they are familiar with. Citadels gets bashed a lot here on the Geek, but I have used it successfully to introduce a lot of folks to the hobby. In a very basic way it introduces a number of classic mechanics. Even my brother who hates "bored" games had a good time with this. Roll dice, play a card, bet and talk some smack! Hasn't failed yet for non-gamers. Of all people who have nothing to say, those who say nothing are the wisest. Clear goal (most money at game end). 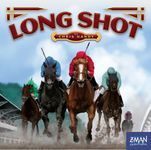 You make important decisions, but there is enough luck involved to ensure that experienced players only have a slight edge against beginners. The game is really all about risk management, and the risks are fairly easy to calculate (just a few D6 rolls per round). The only thing that I have seen throw new players off a bit is the bidding for harbourmaster in the first round. They quickly learn how much it should be worth, though. I know, I know, two favorites? In fact, I could add a few more, since I have quite a few gateway games, and I choose based on the interests of the non-gamers I happen to be playing with. Finca has two great points in its favor: it's easy (every turn, you take fruit, and maybe hand some in for points), and it's beautiful, with interesting pieces that will make people want to play with them. Again, it offers interesting decisions despite its easy mechanisms. The goal of scoring the most points is clear to understand, and there are only a few ways to do this (and all are based on handing in fruit). No hidden information, so you can assist people a bit at the start. I have introduced more non-gamers into gaming with this one than any other. Easy mechanics, and an easily comprehensible theme. 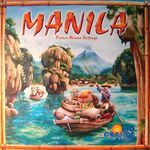 As has been mentioned above, considering the inclinations and temperaments of the particular non-gamers being approached is paramount, but we've had great success with Forbidden Island each time we've used it as an introductory game. That it's a co-op game works/helps on several levels. That a game can be cooperative is a completely new concept for some people. For such people, this alone opens a whole new gaming world for them. Since everyone is working together, everyone feels supported both in learning the game and in playing the game. Provided no aggressively bossy alpha-players are present, less experienced players or people who don't "get it" as quickly can be helped along rather than crushed mercilessly. 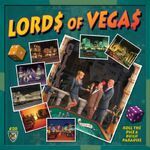 It's complex enough to seem overwhelming at first, but actual play goes smoothly and is invitingly engaging. Being introduced to a world beyond spin-and-move games is going to require complexity. And though there is a lot going on and a lot to be explained, once the game gets started, the flow of play is engaging, consistent, and smooth. The Adventurer cards in particular are a great reference for what remains constant in gameplay and what distinguishes each player. Good-looking components and artwork to draw in the visually-oriented. It takes just enough time to play. Long enough for everyone we've played with to get into the game, but not so long that it feels like a slog. And both the mechanics and the visuals of the game (the gradually disappearing island, the treasures being moved into the players hands as they are acquired) help to indicate and reinforce when things are coming to a close. Particular to our situation, we have an ace-in-the-hole for getting people interested in the game: our 4-year-old daughter.